Will print industry giants, that have the scale and size of an oil tanker, respond to digital disruption with the agility of a speedboat, or will they miss opportunities by not changing direction quickly enough? In an era of rapid technological, social and business change industries that are unwilling or unable to respond to change risk becoming irrelevant. The giant global office print vendors, like so many legacy technology companies, are uncomfortably exposed as office environments, business processes and employee expectations evolve. Large industry players are often held back by corporate inertia and a more conservative attitude to risk and innovation. Quocirca’s Global Print 2025 market insight study delivers a comprehensive insight into the changing landscape of printing in the future workplace. The study draws on a combination of end user and industry executive surveys, providing detailed analysis of the trends and challenges facing the industry and examines how vendors are trying to retain their relevance (and revenues). It’s a workplace in which more than half of employees will work remotely, and millennials will become the largest segment of the workforce. Their comfort with screens and digital-only processes will see the importance of the printed page diminish. However, a healthy 64% of Global Print 2025 respondents believe that printing will remain important to their daily business by 2025. The study of covers 575 small, mid-sized and enterprise organisations across the USA and Europe. It looks at plans for investment in security, cloud, mobility, analytics and digitisation– all essential for flexible working, to ensure employees remain productive regardless of location. Increasingly distributed teams will require better collaboration tools that aid the digitisation of workflows, which will further contribute to a reduction in demand for print volumes. Faced with a workplace environment that is evolving at an unprecedented rate, how are print companies positioned to respond? We interviewed 55 senior industry executives from a broad representation of print manufacturers, channel partners and ISVs to get their views on where the challenges and opportunities lie. While broadly positive about future revenue prospects, the sector is acutely aware of the need to keep pace with technological change. There is acceptance that business structures and culture will need to adapt dramatically to facilitate the transition to the service-centric industry that will be best placed to influence millennial decision-makers. The importance of innovation is well understood, but fostering it is seen as a challenge, particularly amongst OEMs. Disruption is expected, with 71% of industry executives predicting that a major changes to their business models due to external forces. Only 39% currently feel well-prepared to respond. Industry leaders know that developing new revenue streams and strengthening competencies are both critical to building resilience and retaining relevance. Although large players may lack the agility to respond to sudden changes, Global Print 2025 reveals how key players are working to disrupt the market from within, deploying their significant resources to reinvent business models and change cultures. The most innovative are betting on their own R&D and start-up mentality to thrive in the world of digital transformation and increased mobility. Security specialists are embracing biometrics, artificial intelligence and other innovations to make the use of print safe as regulations around personal information tighten. However, there is no room for complacency. 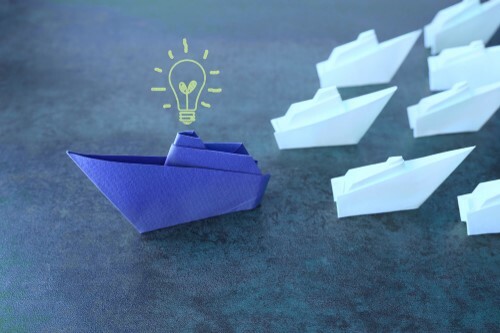 At the organisational level there is a lack of urgency around developing new leadership and management talent to support bold ambitions, suggesting that the message of transformation has not yet penetrated at all levels. The speed of change will leave little room for the traditional caution that has characterised many print vendors in the past. As they pursue new revenue streams and diversify offerings to appeal to a new generation of customers and users, major industry players can leverage the brand equity they have developed over decades as experts in the business productivity. Maintaining this brand appeal and positioning themselves as trusted partners in the digital transformation of the workplace is the key to success in the run up to 2025 and beyond. It’s clear that the office print industry still has much to do to position itself for on-going success. Vendors must steer an agile and innovative new course to navigate these new digital waters. Both evolution of core business strategy and the development of new technologies and revenue streams will be essential if the industry is to still be thriving by 2025. However, with several industry leaders displaying the right attitudes towards change and innovation there is undoubtedly hope on the horizon for an industry that has been at the heart of the workplace for over half a century.